• UC Night: Over 500 students, faculty and staff from the University of Cincinnati will be at the ballpark for the annual UC Night at GABP. UC President Santa Ono will deliver the official game ball during pregame ceremonies. • Cincinnati Zoo Bald Eagle Flight: “Sam” the Bald Eagle from the Cincinnati Zoo & Botanical Garden will perform a flight from the roof of the Cincinnati Bell Technology Pavilion in center field to the pitcher’s mound during the singing of the National Anthem. This is the first of four scheduled flights for Sam during the 2015 regular season. Sam began making these flights in 2004. • “Share a Coke” Summer Tour: Visit the Kroger Fan Zone to personalize two Coke mini cans – one to keep and one to share. • Shamrock the Ballpark: As part of Irish Heritage Night, festivities will include Irish dancers performing before the game and many of the pregame and in-game ceremonies will feature representatives from local Irish organizations. Reds players and coaches will wear alternate white and green jerseys. • Fireworks Friday: Post-game fireworks show with a “Shamrock the Ballpark” soundtrack, presented by Jeff Wyler Automotive Family. • Players Favorite Things Basket Raffle: The Reds Wives will be selling $5 raffle tickets (cash only) for the annual “Players Favorite Things” basket raffle. Baskets are filled with food and gifts from their home state, gift cards, books and DVDs plus four tickets to an upcoming Reds game and an autographed jersey. Raffle tickets will be sold near the Reds Connect Zone on the third-base concourse starting when gates open at 5:40 p.m. to the end of the seventh inning. Player baskets include: Brandon Phillips, Jay Bruce, Todd Frazier, Mike Leake, Zack Cozart, Devin Mesoraco, J.J. Hoover, Tucker Barnhart and more. The retail value of each basket is well over $500. • Club Red Friday Night Party: Club Red members and their friends are invited to a party in the Kroger Fan Zone during the third through sixth innings. Parties are presented by Coca-Cola and feature entertainment by Kiss 107, raffle prizes and more. Club Red is for fans ages 13-17. • Brandon Phillips Bobblehead: As part of Super Saturdays, free bobblehead of the Reds second baseman to the first 25,000 fans, presented by FOX Sports Ohio. • Military Appreciation Day: Tonight is the fourth Reds Military Appreciation Day of the season, presented by DAV, Disabled American Veterans and RetireMEDiQ. Many of today’s pregame and in-game activities will honor the men and women of the five U.S. military branches: Army, Navy, Marine Corps, Air Force and Coast Guard. • Baseball Across the Region: Representatives from Baseball Across the Region will participate in pregame activities. #BATR, an initiative of the Community Organizing Committee, is a twist on the passing of the Olympic torch – using an official All-Star Game baseball to visit a variety of regional attractions, events, and baseball games to build excitement for the 86th MLB All-Star Game. • Pitch, Hit & Run: Eight winners from the Pitch, Hit & Run competition presented by Scotts will be honored during pre-game ceremonies. Earlier in the day, the Reds hosted MLB’s Pitch, Hit & Run Team Championship in which 24 local winners competed. The eight winners (four girls and four boys) will have their scores pitted against those from across the country. The top three scores in each division advance to the National Finals, held during MLB All-Star Week at GABP. • Father’s Day Reds Tumbler: Free travel cup with lid to the first 10,000 dads, presented by Kahn’s. • Kids Poster: Kids 14 and younger will receive a free Johnny Cueto poster, presented by Arm & Hammer. • Student Discount Days: Students of all ages can enjoy discount tickets to all Wednesday home games this season, courtesy of First Student: reds.com/Students. • Mustache Appreciation Games: For all Reds home games June 17-July 5, fans can purchase a ticket package that includes a custom mustache pint glass and a Field Box or View Level ticket. Must purchase ticket through this package to receive pint glass. Limited number of packages available only at reds.com/Mustache. • Thirsty Thursdays: For select Thursday Reds home games (including June 18), fans can purchase a $30 package that includes a Field Box ticket and a $10 concession credit valid for food and beverages. Available only at reds.com/Thursday. • 4 for $48: Enjoy a great weekend of Reds baseball action and save with our 4 for $48 ticket deal, presented by Reach Savings Magazine. For all three games against the Marlins June 19-21, buy four View Level tickets for just $48 and receive four FREE Reds caps at the game: reds.com/4for48. • Military Appreciation Days: For select games (including June 20), pregame ceremonies will honor military groups and fans can purchase a ticket package that includes Reds-branded aviator sunglasses. Presented by DAV, Disabled American Veterans and RetireMEDiQ. Available only at reds.com/Military. Sunday games also include giveaways for kids, face painters, live mascot races and more: reds.com/Family. • Family Catch: It’s not too late to sign up for the for the annual “Family Catch” event on Sunday, June 21. Fans can purchase packages to play “catch” on the field after the Reds vs. Miami Marlins game: reds.com/catch or call 513-765-7240. Packages will also be available in the Kroger Fan Zone at the game on Sunday. The Reds Community Fund is the beneficiary of the annual “Family Catch” fundraising event. • Billy Hatcher Bobblehead: The 2015 Reds Hall of Fame Bobblehead Series presented by Dinsmore & Shohl LLP continues in June with Billy Hatcher. The bobblehead depicts Hatcher in the follow-through of one of his record-setting at-bats of the 1990 World Series and are free with regular-price admission to the Reds HOF & Museum on Fridays, Saturdays and Sundays in June, while supplies last. 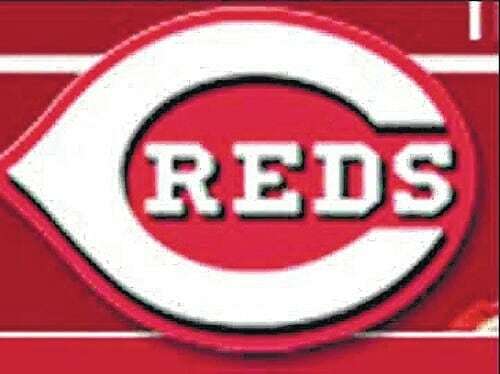 • Herm Winningham Autograph Signings – June 20 & 21: Member of the 1990 World Champion Reds Herm Winningham will appear at the Reds Hall of Fame & Museum on Saturday, June 20 from 2:30 to 4 p.m., and on Sunday, June 21 from 10:30 to 11:30 a.m. and in the Reds Hall of Fame batting cages presented by Beacon Orthopaedics & Sports Medicine from 11:30 a.m. to 12:30 p.m., weather permitting. Autographs are free for Hall of Fame members and $5 for non-members. • Cincinnati Reds Legends Art Exhibit – June 16-22: The Reds Hall of Fame & Museum is proud to present a special exhibit featuring original art form the recently published book, Cincinnati Reds Legends. The book is a celebration of the very best players in Reds history as told through the writing of Mike Shannon and through the artistic lenses of Chris Felix, Scott Hannig and Donnie Pollard. The exhibit features over thirty original examples of the artwork featured in the book as well as oversized reproductions and a collection of some of the materials artist Chris Felix uses when creating his distinctive works.